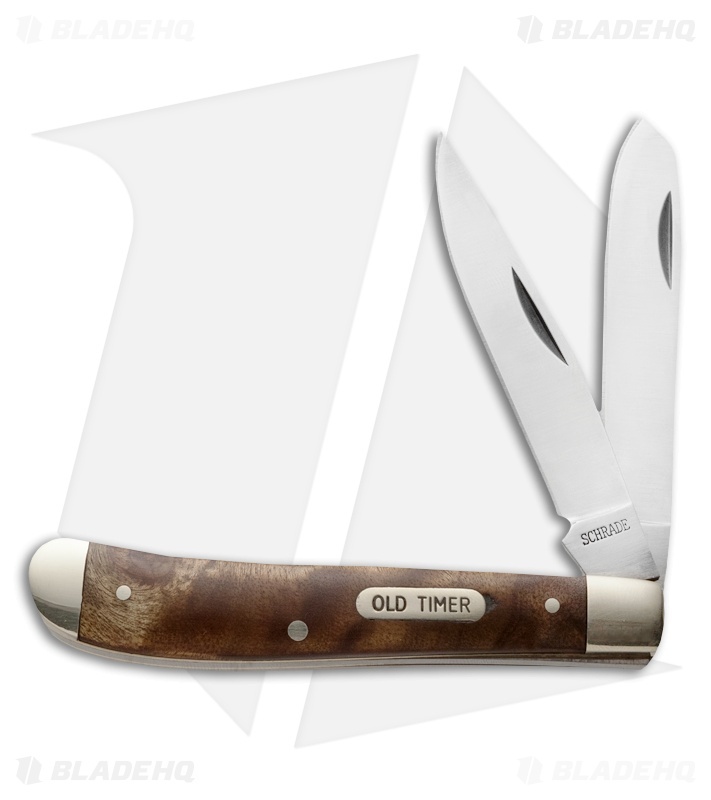 The Old Timer Gunstock Trapper is a two-blade pocket knife that's as tough as it is attractive. The beautiful ironwwood handles are set with brass pins over brass liners with nickel silver bolsters. 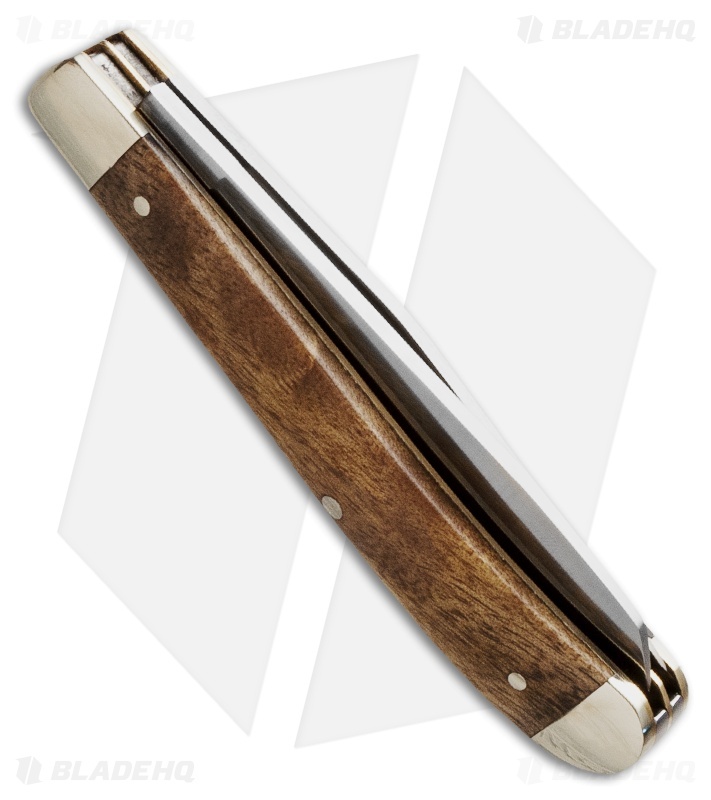 Satin finished 7Cr17 high carbon stainless steel clip point (3") and spey (3") blade are designed to take punishment and keep performing. 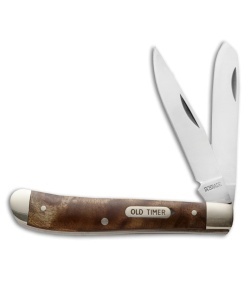 Not too big or bulky, this pocket knife is a versatile and convenient tool to have around for those day-to-day jobs.